MOSCOW – Washington has slammed Russia with a wide-ranging new wave of sanctions in connection with Moscow’s alleged involvement in the poisoning of ex-GRU Colonel Sergei Skripal and his daughter Yulia in Britain, sending the ruble on a downward slide and provoking a sharp reaction from markets. The move, announced by the U.S. State Department on Wednesday, reveals the immense difficulties the White House and Kremlin face in their hopes to substantially improve their bruised and bloodied ties. The announcement came alongside the publication of a leaked draft of the U.S. Senate’s Defending American Security from Kremlin Aggression Act of 2018 (DASKAA), a so-called “nuclear” sanctions bill that will heavily impact Russian energy projects, sovereign debt, national banks and business elites. It is expected to be passed prior to midterm elections in November. While Russian elites and officials hailed last month’s summit between Presidents Donald Trump and Vladimir Putin as a success for Russian diplomacy, the assessment was entirely at odds with the full-throated and near-unanimous condemnation the U.S. leader faced for his conduct at the event. Trump’s dithering on alleged Russian interference in the 2016 elections, seeming deference to his oft-maligned counterpart, and continued controversy over administration associates’ past contacts with Russian figures quickly provoked a new souring in the anti-Russian mood of U.S. lawmakers. The fierce backlash against the summit by the U.S. foreign policy, defense, and media establishments could hardly have come as a surprise to Moscow, which is keenly aware of the White House’s isolation on the question of U.S.-Russia ties. US sanctions assembly line increases its production output. New “draconian” sanctions against Russia. The first round of the new White House sanctions, expected to come into effect August 22, will put an end to U.S. defense exports or sensitive goods of a dual-use nature that could be used for national security purposes, including certain electronic components and devices. Many of these goods have been covered in previous sanctions packages, and certain exemptions may alleviate the overall impact of the first round. If Moscow doesn’t provide evidence that it will no longer use chemical or biological weapons and that it would also allow U.N. and other inspectors to verify its compliance with such non-usage, then Russia will face far more serious restrictions after 90 days, according to State Department officials. In that case, bilateral diplomacy will be downgraded while Moscow’s imports and exports in various sectors, excluding the food industry, will grind nearly to a halt. Russian flagship airliner Aeroflot may also see its ability to fly to the United States restricted in connection with any import-export ban. In a Thursday briefing, Russian Foreign Ministry spokeswoman Maria Zakharova promised retaliatory measures in response to the “useless and unproductive” move by Washington. Beside the tumultuous response of Russian markets and its currency to the sanctions, officials and analysts in Moscow have also reacted with anger to the leaked draft of the DASKAA bill. Despite the defiance of Russian officials, it remains a fact that the country’s economy has suffered as a result of low oil prices and the West’s moves to isolate Russian entities, industries, and oligarchs from the international financial system. Likewise, a shrinking state budget has resulted in austerity measures like the massively unpopular new pension reforms, which seek to overhaul and trim a crucial safety net for post-Soviet Russia’s aging population. Without a doubt, the Washington-led economic war on Russia has had huge political repercussions for Moscow. Even amid the loud clamor for anti-Russian moves that followed Helsinki, foreign policy realists in Washington have noted the need to restart talks on mutually important security issues such as arms control and military-to-military communications channels that could lessen the chances of miscalculations or misunderstandings on either side. Yet by applying these new pressures on Moscow on the unlikely chance that the country will kowtow to U.S. diktat, U.S. officials are assuredly blocking any future roads to engagement and détente while likely overplaying their sanctions hand. 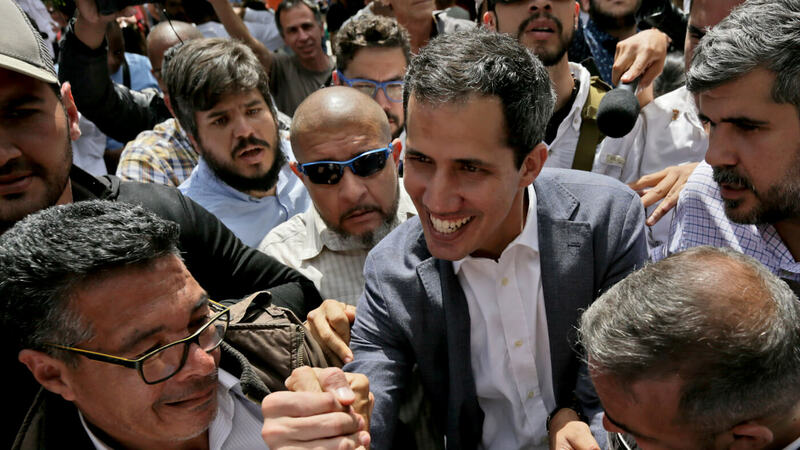 They are succeeding thus far only in frustrating global players who find the space to do business in heavily sanctioned countries like Iran, Russia, and Venezuela increasingly hemmed in by the domineering politicians in Washington. First, they will hollow out the sanctions instrument in the hands of American diplomats even [further], as such measures for unproved crimes are likely to irritate Moscow rather than generate any other reaction. Second, they will unveil a lack of strategy regarding the use of sanctions and inconsistency not only between Congress and Donald Trump’s administration, but inside the administration as well.